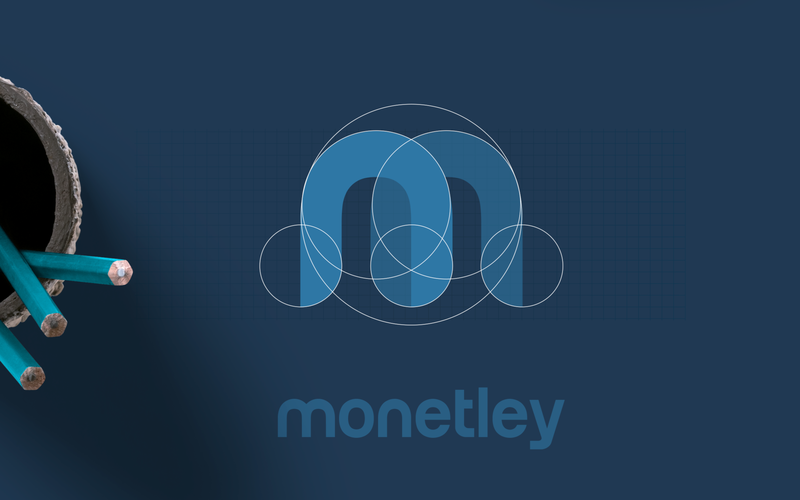 Monetley has always been committed to simplifying financial services for you. We value your time very much, and that is the reason for developing a platform that makes it easy for you to sign up for and access all your financial services in an instant. ⌛ We believe in giving you more time to do the things that matter to you and your loved ones by making the process of accessing and using financial services fast, easy, and secure. 💬 However, to achieve this goal, we need to communicate with you, our customer, and any other person who interacts with us, properly. The first thing that you see, when interacting with us, is our logo. Companies have devoted many resources to building the right logos that communicate effectively who they indeed are and what they do. 🏗️ We are doing a similar thing but, of course, in a unique way. We want to build a brand that communicates a sense of trustworthiness, transparency, and great care for our client. To do this, we have been making small but significant alterations to the colors that we use on our logo. 🔒 Although we have invested a considerable amount of resources in building highly secure systems, we do not have to communicate this to you in a complicated language. You do not need much explaining about AI and Machine Learning to understand that our systems are very secure. We know that you can figure how trustworthy and reliable we are by only looking at our logo. ⚖️ Similarly, the kind of commitment to transparency and customer care values that we hold dear are visible in our logo and color schemes. We have been working hard on striking the perfect balance between these two things. The good news is that we have achieved our goal as it is visible in our corporate color scheme. 2️⃣ Two important things stand out in our branding colors. First, we use the colors blue and green to communicate with customers and the public our real identity. The blue color on our logo represents the values of professionalism, trust, and security. We use the color to pass across the message that people can trust the Monetley brand, thanks to the level of professionalism that we observe in all our dealings. 🔵 Varied brands use blue to communicate similar sentiments. For example, many tech firms use blue in their logos to evoke feelings of loyalty and trust in their clients. Given the nature of the tech industry, it is critical for companies to show the public that they can be trusted. ☄️ Monetley seeks to achieve a similar aim. By including blue on our band, we would like to send the message that our customers can trust us with their financial needs because we have a secure system in place. More so, we use the blue color to show that we are loyal to our clients and true to our word: to make access to financial services fast, secure, and simple. 🌿 Many people associate green with progressiveness, calmness, harmony, and renewal. Some companies that operate in the renewable energy industry like wind power and others are fond of using this color because it represents the nature of their activities. Such companies would like to emphasize that they are committed to using sustainable business practices. ✅ Contrary to widespread belief, companies that operate outside these industries can still use the green color in their logos. Such organizations can effectively communicate an intense sense of harmony by including the right shades of green in their brand colors. 📘📗 Monetley has done this by merging a few carefully selected shades of green with blue. We use this color to show our customers that they do not have to worry about the security of their money. The inclusion of the color on our logo creates a sense of calmness and harmony, which is very important considering the nature of our services. Thus, people can be at peace when interacting with us, knowing that we have secured their finances. 🤲 Secondly, we use a gradient of saturated tones of both colors to create a color scheme that creates a sense of ambiance, trust, and reliability. Currently, many companies utilize this technique when choosing their branding colors. Therefore, in a way, Monetley is merely adhering to what is the norm in branding. 📱 Because we offer all our services on a mobile app, it makes sense to ensure that the app meets all the needs of our customers. However, even before people use an app, they need to be able to recognize it on their mobile devices very fast. 📅 For years, UX specialists have been struggling with the issue of how to make apps unique. In our case, we have sought ways of ensuring that our app stands out from the many others that people have on their mobile devices. ❓ Although there are many answers to this question, one viable method is to use the right color schemes. 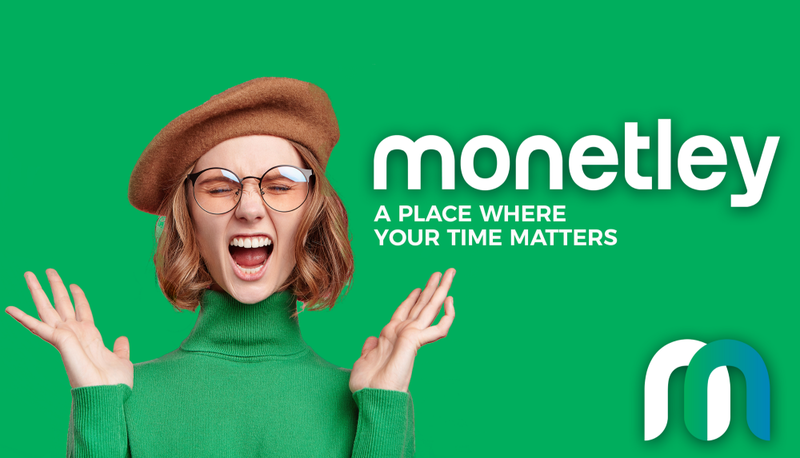 We think that our choice of specific tones of blue and green makes the Monetley App unique on the screens of the mobile devices of our customers. 🔍 It will be easy for people to identify our app even when they are glancing on their mobile phones, thanks to this color scheme which reflects a perfect balance between transparency, trust, and simplicity. Our app creates a serene and inviting atmosphere to anyone who sees it on a mobile device. 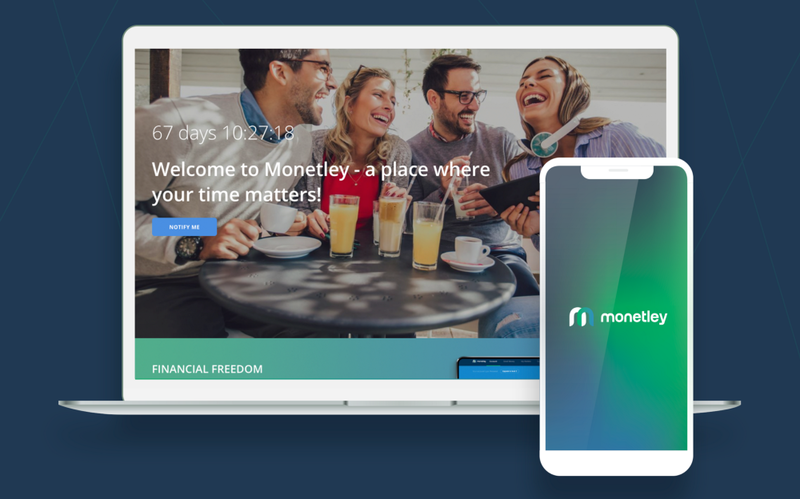 🏦 Monetley would like to keep on changing the way of doing things in the financial services industry. We naturally enhance the security features that many traditional financial service providers use to secure the finances of their customers. However, we do this using new and high-tech methods that are less invasive to our customers. 👨‍💼 Also, we drastically improve the level of customer service that traditional institutions have been offering to people. Your needs are at the center of everything that Monetley does. The company prioritizes your security and convenience above everything else in our service offering. We will continue to do this in the future to ensure that you have enough time left to handle the things that matter to you.